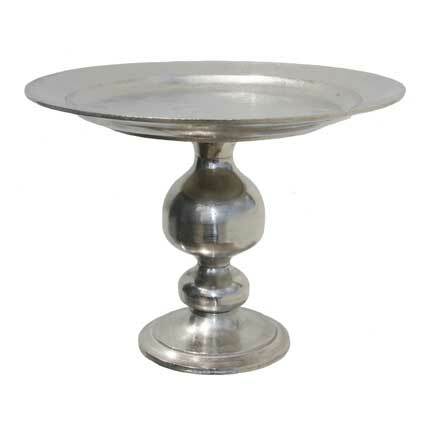 This cake stand is perfect for medium size round cakes and also works well on buffets for cheesecakes, tarts, etc. Measures approximately 20" in diameter with a 5" lip. Stands about 15" tall.